Project Star Gate is the collective/umbrella name for the United States government-sponsored remote viewing program. this involved advanced psychic functioning & Remote viewing experiments and programs that were undertaken for over twenty years to create a trainable, repeatable, operational and if at all possible, accurate method of psychic spying or information gathering for the U.S. Military and intelligence agencies (CIA, NSA, DIA). Each project name is made-up from two separate random words to create the project name. The time before 1979 the projects were funded by the CIA amongst others in an adhoc manner. The Star Gate Archives is a collection of documents released by the United States Government (CIA) under the Freedom of Information Act. The government originally released the 12,000 files, over 89,000 pages and this has now expanded to over 92,000 pages with an updated release. These documents detail the Remote Viewing program from start to finish from both the science and operational sides of the coin. There are hundreds maybe thousands of practice and operational remote viewing session examples within the archive, scientific papers, report, scientific oversight committee reports, news and media articles and transcripts. 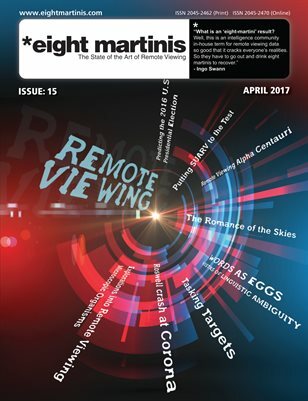 There are scores of draft and final versions of research reports from both the SRI-International and Science Applications International Corporation (SAIC) labs that performed the majority of the science behind remote viewing. These include explorations not only of remote viewing but also of intuition, psychokinesis, and other psi-related subjects.